HomeNew FPGA Prototype: Compatible with AI? There is an emerging trend these days for new hardware materials, designs and standards that seek to defy Moore’s Law and the predicted slowdown in computing evolution and, eventually, the capabilities it represents. It’s a necessary move, particularly in the face of the extensive requirements involved in running some artificial intelligence (AI) platforms. Some AI applications need to process hundreds of thousands of data points for the purposes of deep learning; and some others need to apply algorithms to thousands or even millions of the same. Therefore, new and emerging computing standards, including quantum processing, may be more suited to running or maintaining AI than conventional ones. A Californian start-up called Efinix takes this view, and wants to adapt the traditional field-programmable gate array (FPGA) to the particular needs of AI. This could put deep learning on chips, just like modems or processors. It may mean that the full systems-on-a-chip (SOCs) of the future could have modules that add AI capabilities to personal computers or even smartphones. Efinix also believe that their new form of FPGA can also expand the market for these components, allowing current array manufacturers to share the market with this new contender. FPGAs are semiconductor-based integrated circuits that are supplied to be programmed or configured by the customer, which is usually a designer or engineer. Xlinix, one of the best-known FPGA companies, claim that their arrays are powerful and complex enough to handle a wide range of applications and programming requirements. FPGAs can take a number of forms and functions, including wireless connectivity components, such as Ethernet switches, digital signal processors (DSPs), image processors and even full SOC models. 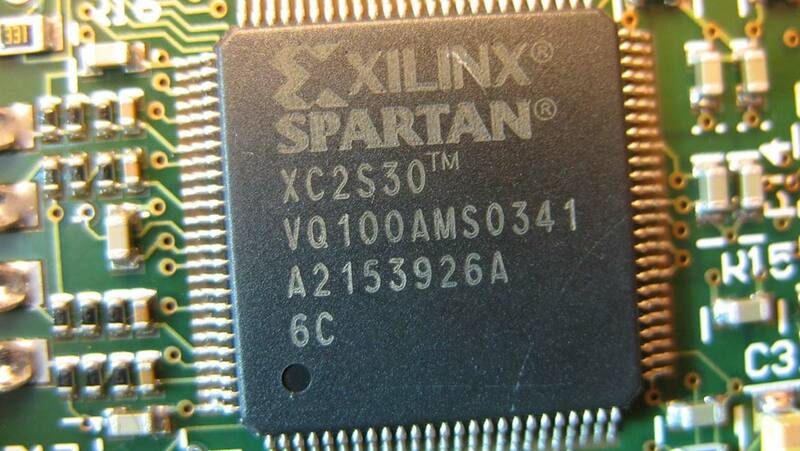 This makes FPGAs a versatile and nearly essential part of many modern chip-based systems. On the other hand, the basic FPGA architecture has been almost stagnant for some time now. These arrays are laid out in a two-dimensional conformation of numerous alternating ‘routing’ or ‘logic’ blocks. This fixed arrangement means that the blocks need optimal connection in order to cover the full processing load that may be expected from them. These connections are supported within the layers of metal that make up an individual FPGA. This can translate to a need for as many as 14 layers per FPGA. There are drawbacks to this arrangement, which mainly include the space an FPGA needs to take up, the extra bulk implied by the metal layers and their effect on power consumption through inadvertent capacitance. However, Efinix’s new proposed FPGA system involves some potentially critical changes to this situation. Its ‘blocks’ can switch between functions – which renders this new FPGA a quantum arrangement. A quantum FPGA system has particular potential because one block can be switched to match or complement an adjacent block handling an especially high load. In addition, the logic block found in a traditional FPGA is in fact a clustered logic block, part of which contains a four-input look-up table (LUT), an adder and a register, while the routing block is a simple switch. However, under Efinix’s design, a logic block comprises the adder, register and LUT alone, without the need of a cluster. Furthermore, if this block switches to routing, it becomes a routing matrix. These quantum FPGAs should also require fewer connections and thus fewer metallic layers; probably as little as seven per array. Therefore, these circuits should take up less space and use less power, while delivering potentially greater complexity in computing. Efinix calls its new quantum blocks “eXchangeable Logic and Routing cells” (or XLRs). They claim that their new XLR-based circuits will be a quarter of the size of conventional FPGAs, while using half the power compared to normal arrays. In addition, they maintain that their simplified layer structure will make it easier for chip manufacturers to integrate their FPGAs into new SOCs. The forthcoming Efinix products, dubbed “quantum processing technology” by the company, should also be easy to produce due to its less complex three-dimensional design. Efinix estimates that their first production samples will be available in December, and that finished products will be available in the second half of 2018. These systems will be programmable QPT systems supporting up to 150,000 logic elements, which service consumer- to industrial-grade applications. However, they also intend to progress to the production of systems that support up to 500,000 LEs, which are suitable for intensive or high-end applications in sectors such as high-volume data storage, infrastructure or machine learning. Efinix believe that their QPT-based circuits will be attractive to manufacturers and designers who want to condense more and more processing powers over similar or progressively shrinking surface areas. They believe that quantum systems will also help technological solutions to overcome the limits of silicon in processing, which, in truth, may be the case. They have been able to develop their new FPGAs, and are now in a position to attract industrial development partners, thanks to the availability of nearly $10 million in funding. Surprisingly, this has been provided in part by Xlinix. It is possible that the existing FPGA producer sees the worth in a stake in this new generation of circuits. Interestingly, Efinix’s CEO, Sammy Cheung, says the company wants to act in synergy with its key investor; the start-up will service needs that current FPGAs do not. However, presuming that QPT delivers on Efinix’s promises, they may find that chip-makers may prefer their smaller, power-conserving platform for more and more of their applications.